. استمتع بالخدمات الراقية والضيافة التي لا مثيل لها بهذا الفندق في أوكلاند. إن مكتب الاستقبال على مدار الساعة, مرافق مخصصة لذوي الاحتياجات الخاصة, تخزين الأمتعة, واي فاي في المناطق العامة, صف السيارات هي جزء فقط من الخدمات التي تميز City Lodge Backpackers عن باقي الفنادق في المدينة. بالإضافة لهذا,تتضمن كل غرف الضيوف مجموعة واسعة من وسائل الراحة . بعض الغرف توفر حتى تلفزيون بشاشة مسطحة, غرف لغير المدخنين, تدفئة, مكتب, ساعة منبه لإرضاء أكثر الضيوف تطلباً. يقدم الفندق مجموعة رائعة من الخدمات كمثل مسار جولف - ضمن 3 كم, كرة الطاولة, حديقة, غرفة ألعاب، لجعل إقامتك تجربة لا تنسى. استمتع بخدمات لا يعلى عليها وعنوان ذو اعتبار في City Lodge Backpackers . مكتب الإستقبال مفتوح على مدار 24 ساعة. يجب ألا يقل عمر النزيل الذي سيسجل الوصول عن 18 عامًا. إذا كان النزيل أقل من 18 عامًا، يجب أن يكون بصحبة وصي قانوني. The hotel is located on a busy street, However the external noise was very evident and even though I closed the windows, I did not get a good night's sleep. I think that a lot of students also live in the area and think it is ok to play loud music? If you needed to contact the front office on the ground floor, you would need to use the stairs or lift as there is no phone in the room. The bathroom light was not working which more an lying than anything else. The Thad a limit on the volume which was not ideal given the external noise made it difficult to hear. I had 2 stays here, at the beginning & then again at the end of my holiday. I had a single room which is basic accomodation with the luxury of a fridge in the room with milk in there on arrival. Location wise it is a bit noisey from traffic on one side of the building but the ceiling fan helps if windows need to be shut overnight. Laundry & kitchen both more than adequate for simple needs. Staff very helpful & attentive on both visits. I would stay again. 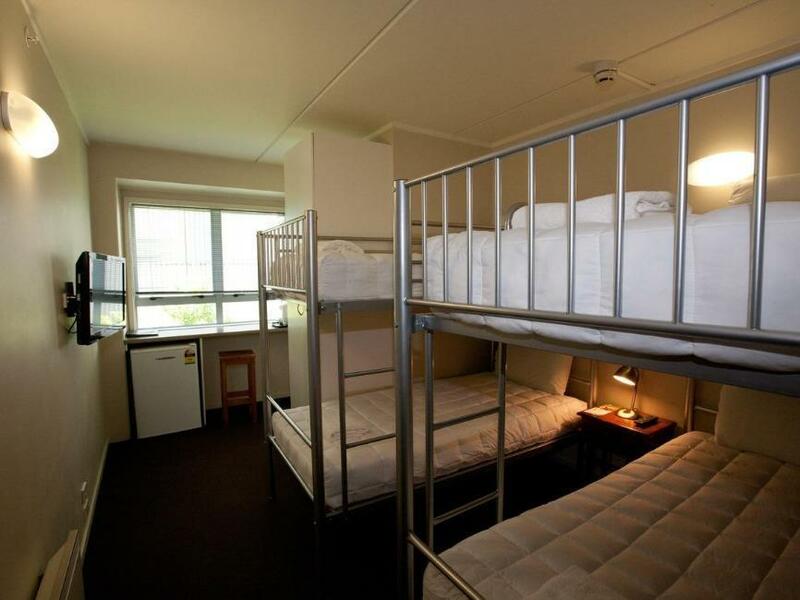 Good value for money if you’re happy with sparse accommodations because you don’t intend to spend any time in the room. Clean. Friendly staff. 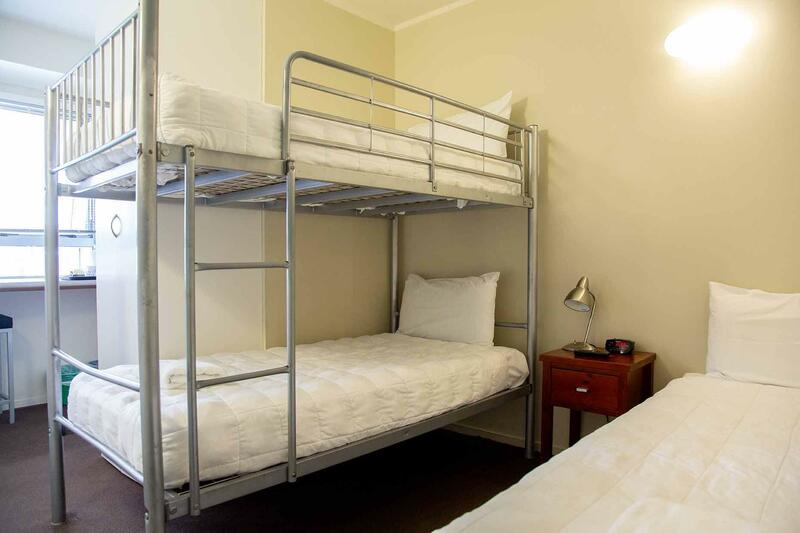 The single room is very small but with everything you’ll need. The walls are thin. You’ll hear everything next door or on the hallway. The room is generally clean. I don’t feel comfortable with beddings. The comforter shaped weirdly. The pillow in my room smells like someone’s grease hair, bad, they change pillow case soon on my request. The location is great. Big and clean kitchen with utensils provided. Laundry room is clean. The staff are friendly and helpful. My wife and I were not expecting a lot for what we paid, but it turned out to be great. Really enjoyed the staff, great location, very clean, nice facilities in the basement if you wanted to save further money and prepare your own meals. Nice neighborhood, walkable distances to the harbour. Near a nice little park (Myers). Lots of food options nearby. On the minus side, very small rooms, but well set up. No air conditioning, but a very functional ceiling fan. It never once gave us that uneasy travellers feeling that we were in a questionable area or a dodgy establishment. Well managed, very nice staff, both at the front desk and cleaning. A bargain. It was good for the price although it’s small so it wouldn’t be good for more than a few nights. Only issue was that the bathroom and shower floor was covered in hair and clearly had not been cleaned. Unbeatable location and an affordable price. Clean, friendly. Rooms small but organized so well that a guest has everything he needs. Good location, easy check-in/check-out, clean budget hotel. There's no shelf to put the soap, shampoo, etc. in the shower, I had to put them on the floor, poor design. Very clean room with all the basics. There was no hair dryer in the room but it was promptly arranged by the front desk staff. Also the heater was not working and the staff arranged a portable one. Amazing service. I would definitely recommend this place. A great place at a great price! Staff are so friendly and helpful. Rooms are clean and well-laid out. The communal facilities are fantastic. Totally recommended to all. The active commitment to the environment is what will sway me to stay here again and again as a regular business traveller. Fabulous budget accommodations. If you just need a place to leave your stuff and sleep at night, this is the place. Parking on the street was pretty easy and an easy walk into CBD or short Uber ride to other locations. The bed moved a bit and wasn't the most comfortable. Walls are a tad thin and no AC, but you get decent ventilation through the window. The owner, Mr. Hwang is so nice and helpful. He has a lovely German Shepard, Max. Omg.. I miss Max already. I like people who love dogs. The location is great, just in the front of lakeside. The view is prefect. They provide many cooking tools in room kitchen, microwave, etc. Must stay there again next time and visit Max again :) happy holiday! I found every staff person I interacted with extremely friendly, knowledgeable and helpful. Whenever I crossed the reception area, I was warmly greeted. For the price per night of my ensuite, it was better than a fair deal. WiFi is extra and laundry is coin operated but if you factor in those costs with the price per night, it is still quite affordable. Breakfast is optional at an affordable price and, on the side, I looked forward to my breakfast box each morning. City Lodge is centrally located and I was able to walk to different sites and places. One negative is that, if I am not mistaken, street racing occurs in the middle of the night and is extremely loud. It is worth mentioning that I don't think it happened near the hotel but, without cars or people as obstructions, sound travelled. 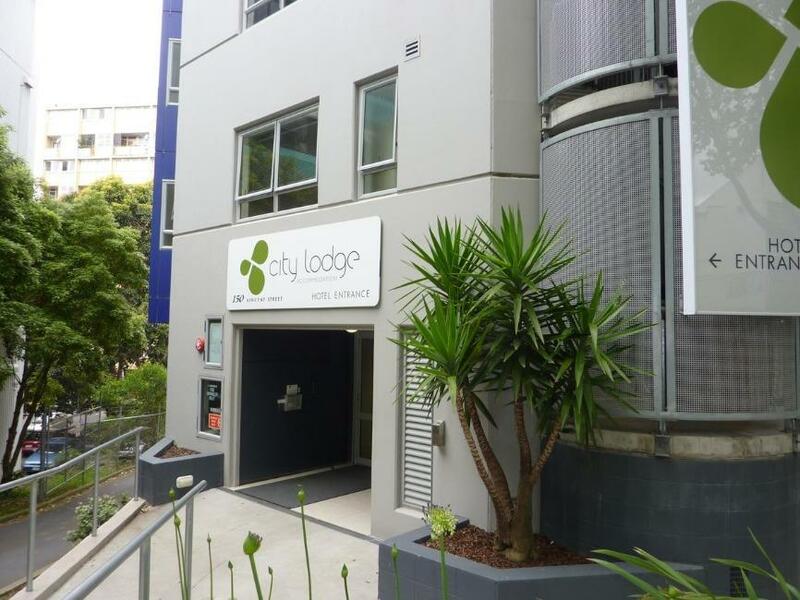 If you want a clean and affordable option with friendly and helpful staff, City Lodge should be your choice. City Lodge was just what I needed after 28 hours of flying. My own room and bathroom, not big, but big enough, quite and central to downtown. At least I walked everywhere I wanted to go. I would easily stay there again. 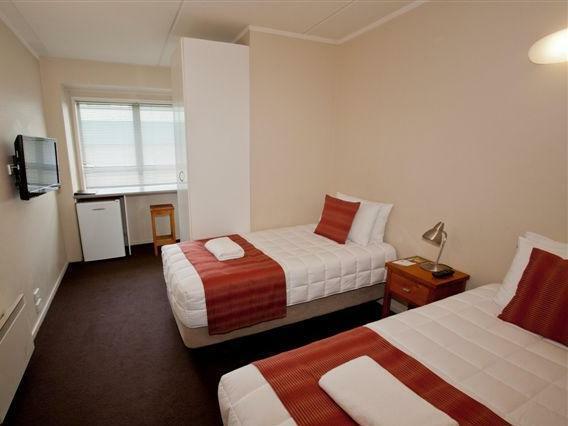 Was happy with my choice … the single room I got in the end was adequate.. the shape of the room worked in well with the bed size space .. For the cost it really was good value .. would stay again. The location is great but it will be a bit of a hike. 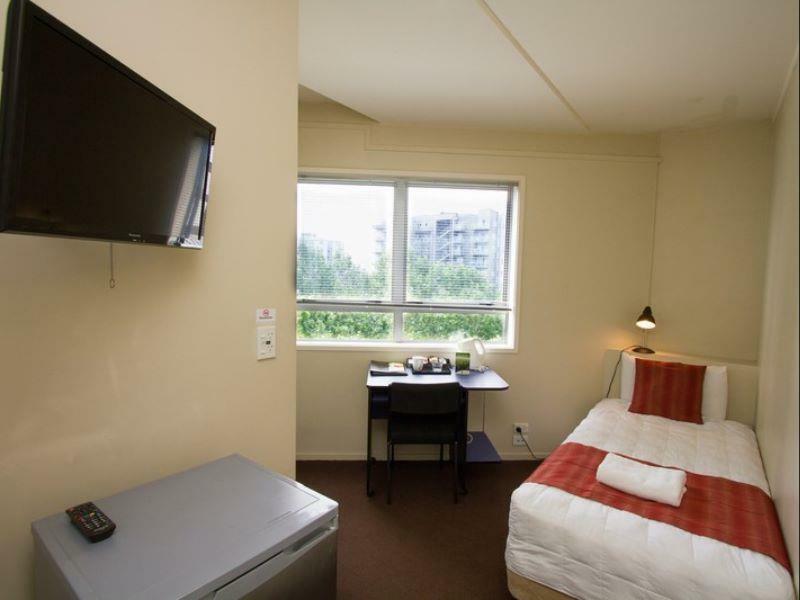 The room we selected has all the basic facilities and we even got a room with a good view of the Sky Tower. There’s a decently equipped kitchen and community area at the Basement Level. We played pool and ping pong while waiting for our clothes to complete the wash and drying cycles ($4 each). You can also borrow a clothes rack and dry your clothes in your room. 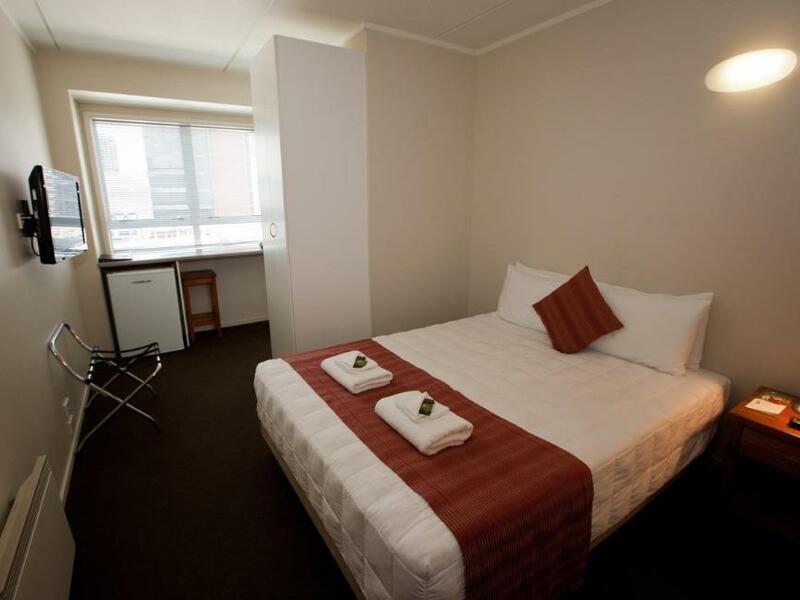 Hotel is in the city, walking distance to restaurants and quite a few attractions. Staff is friendly. We noticed that Auckland city is pretty much up and down hill nearly everywhere we go. Reception is 24 hours and can help to book a Super Shuttle to the airport. Overall we had a pleasant stay at Ciry Lodge and would highly recommend it. Stayed in private single room ensuite. Room is small but got all the things I needed for 2-night stay. Convenient with a one-dollar city circle bus stop near to hotel. Sky bus stop is also only 2 streets away. Food shops are in walking distance. Only the matress is too old that it is so uncomfortable. 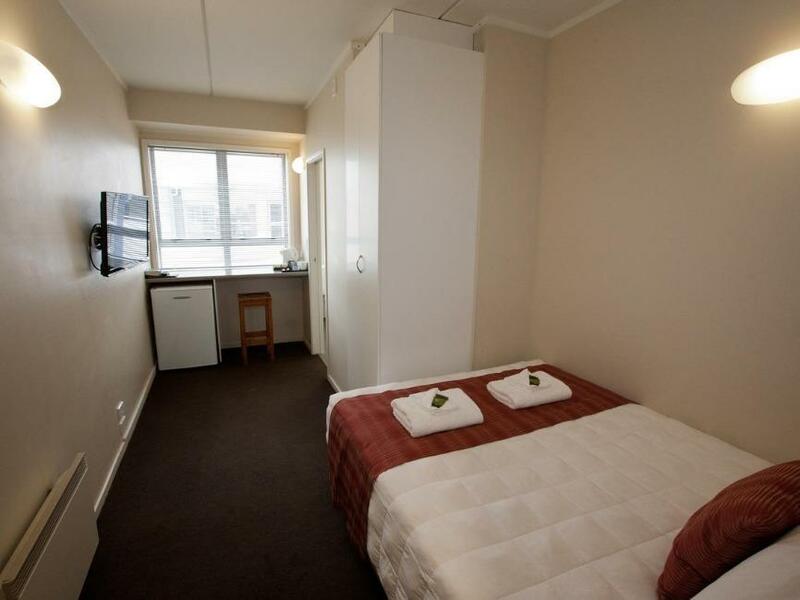 This is a good option for a solo traveller in Auckland city center, 10 minutes walk to everywhere. coming back from the city center on foot is little bit of a climb, but this is Auckland so be prepared. I enjoyed the stay but the single rooms are the minimum for a single person is very small but this is what you need basically.